Moscow : Terming the ties with India as a "privileged strategic partnership", Russian President Vladimir Putin tonight disclosed that construction of new nuclear plants besides military and technical cooperation was high on the agenda during his visit to New Delhi. Seeking to dispel the perception that Russia-India ties had lost some warmth, Putin described India as a "reliable and time-tested partner" although he spoke of a "gradual transition from the producer-consumer model to joint development and production of advanced weapons systems". Moscow: Russia will resume shipping natural gas to Ukraine after Kiev pays off its first debt installment for past supplies of gas next week, officials said on Friday. Alexei Miller, chief of Russia's state-controlled Gazprom natural gas giant, made the statement hours after Russia, Ukraine and the European Union thrashed out a USD 4.6 billion deal that will guarantee Russian gas supplies to Ukraine and further on to the EU. The deal eased fears that Europe will end up shivering this winter like it did in 2009, when a spat over Ukraine's gas bill prompted Russia to cut off energy supplies to Europe for nearly two weeks. Moscow : Russian President Vladimir Putin on Thursday shrugged off the negative impact of Western sanctions, saying they will only encourage Russia to build closer ties with China, India and Latin America. Speaking at an investment forum, Putin described the sanctions as "utter silliness" that hurt Western business and offered an opportunity for others to expand in the Russian market. Putin said the sanctions, imposed by the United States, the European Union and others over Russia's role in the Ukrainian crisis, violated basic principles of the World Trade Organisation and inflicted lasting damage to the global economy. 18th after being fifth overnight at the M2M Russian Open. Bhullar is now three-under 213 and will need a very good final round to get into the top-10. Meanwhile SSP Chowrasia, who made the cut on the line, improved his position with an even par 72 and he is now two-over 218 in tied 52nd place. At the top, Scotland`s Peter Whiteford goes head to head with Englishman David Horsey in the final round. Moscow: With delays in regulatory nod and gas price revision frustrating its attempts to reverse falling gas output from KG-D6 field, BP chief executive Bob Dudley met Petroleum Minister Dharmendra Pradhan to press for early decisions. Dudley, along with BP India head Sashi Mukundan, met Pradhan on the sidelines of the World Petroleum Congress on Tuesday to make a case for early decisions, officials said. Moscow, May 23 - Russia has termed "outrageous" Prince Charles' reported controversial description of President Vladimir Putin. Remarks attributed to the Prince of Wales likening Vladimir Putin's actions to some of those of the Nazis are "outrageous", BBC quoted Thursday the Russian embassy as saying. Deputy ambassador Alexander Kramarenko has met foreign office officials to ask for official clarification. The alleged comments were made during a conversation with a former Polish war refugee during a royal tour to Canada. Moscow, May 15 - Russia said Wednesday it would resume gas price talks with Ukraine if Kiev pays off part of its mounting gas debt, in an apparent move to soften its tone on gas dispute with the Eastern European country. "No one ever said: Return four billion US dollars immediately," Xinhua quoted Prime Minister Dmitry Medvedev as saying. But he stressed that Ukraine should at least show the willingness to pay the outstanding debt. "If they pay a part, it is at least a basis for talks." Moscow, April 21 : Asserting that any attempt to isolate Russia was bound to fail, Russian Foreign Minister Sergei Lavrov Monday urged European Union (EU) countries to make responsible and independent decisions on sanctions. "Isolation has never led anyone to anything," Xinhua reported citing Lavrov as saying. "Those trying to isolate in various situations various countries and various governments were in the end compelled to talk to those whom they wanted to isolate," Lavrov said adding it was impossible to isolate Russia from the rest of the world. Moscow, April 15 : Russian President Vladimir Putin signed an order appointing Sergei Aksyonov as the interim head of Crimea. The order dated April 14 came into force immediately, after it was published on the legal information portal Tuesday, ITAR-TASS reported. Putin Monday informed the prime minister of Crimea about his decision to appoint Aksyonov as the interim head of the Black Sea peninsula. "The constitution of Crimea has been adopted, and according to the existing legislation of Russia, it is necessary to appoint an interim head of Crimea," Putin said. Moscow, April 1 : Russian gas monopoly Gazprom said Tuesday it has cancelled discounts on natural gas supplies to Ukraine. "In the second quarter of 2014, price of gas supplied to Ukraine will be $385.5 (for 1,000 cubic metres)," Gazprom CEO Alexei Miller said. Miller noted that Gazprom would not any more apply the discount agreed with Kiev last December, Xinhua reported. 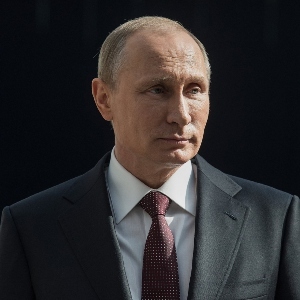 Moscow, March 29 - Russian President Vladimir Putin Friday submitted a proposal to the lower house of parliament on terminating a number of Russia-Ukraine agreements over the Black Sea Fleet. The agreements, signed in 1997, are related to the parameters of division of the Black Sea Fleet as well as the status and conditions of the Russian Black Sea Fleet's deployment on the territory of Ukraine on reciprocal payments. Moscow, March 25 - Risk of recession in the Russian economy exists, but it is too early to make precise forecasts due to high uncertainty of macroeconomic situation, head of Russia's largest bank said Monday, the media reported. Recession or flat growth of the gross domestic product (GDP) will occur if capital outflow amounts to $100 billion this year, Xinhua quoted German Gref, CEO of the state-owned Sberbank, as saying. "So far, everything is okay. Everything is rather stable," Gref said. Moscow, March 21 : Russian President Vladimir Putin Friday signed into law legislation on the accession of Crimea after both houses of parliament unanimously approved it. 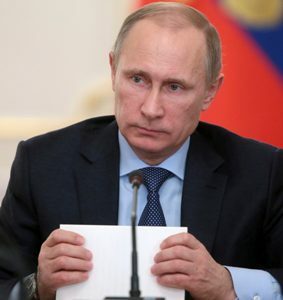 "I signed several decrees today, including the decree on the formation of one more federal district, the Crimean federal district," Putin said at the signing ceremony. "We have a lot of work ahead on Crimea's adaptation and on its joining Russia's legal system, the Russian economy and the social sphere," Putin added. Moscow, March 20 : All legal procedures governing accession of Crimea with Russia will be completed this week, Russian Foreign Minister Sergei Lavrov said Thursday. "Currently, practical steps are being undertaken to implement the treaty signed by Russian, Crimean and Sevastopol leaders about accession of the two new regions into Russia," Xinhua quoted Lavrov as saying in a meeting in the ministry. He noted that Moscow would continue protecting Russians abroad with political, diplomatic and other legal means. Moscow, March 18 - Russian President Vladimir Putin has signed a decree to recognise Crimea as a sovereign and independent state, the Kremlin press service said Monday. "Considering the will of the peoples of Crimea expressed at the all-Crimea referendum on March 16, 2014, I hereby decree that the Republic of Crimea, where the city of Sevastopol has a special status, be recognised as a sovereign and independent state," Xinhua quoted the decree as saying. Moscow, March 11 - Ousted Ukrainian president Viktor Yanukovych has plans to make an official statement Tuesday in Russia, one of his close aides has revealed. "The speech will take place in Rostov-on-Don, the exact time and place are to follow," Xinhua quoted local media citing a source close to Yanukovych as saying. It was, however, not immediately known the form of his address. Yanukovych was last seen at a press conference Feb 28 in Rostov-on-Don, a Russian port some 1,000 km southwest to Moscow. Moscow, March 7 - Russia Thursday accused the US of applying double standards to Moscow's assertions about the developments in Ukraine. "The (US) State Department is trying to play on a shamelessly one-sided interpretation of events as though there wasn't abundant evidence of outrages perpetrated by radical nationalists (in Ukraine)," Xinhua quoted Russian Foreign Ministry spokesperson Alexander Lukashevich as saying in a statement. Lukashevich was referring to a statement released by US government criticising Russian President Vladimir Putin. Moscow, March 2 - Russian Federal Council, or upper house of the parliament, Saturday approved President Vladimir Putin's request for using armed forces in Ukraine. After the approval, Putin, as the commander-in-chief, could decide the number of troops and their armaments that were to be deployed in Ukraine, Xinhua quoted Vladimir Ozerov, chairman of the Federation Council's Defense and Security Committee, as saying. Moscow, Feb 13 : Russia has tabled another draft resolution against terrorism at the UN Security Council (SC), Russian Foreign Minister Sergey Lavrov said Thursday after a meeting between Russian and Egyptian foreign and defence ministers. “We do not only rely on basic principles, namely the need to fight terrorism without exception approved by the SC and the UN’s other units, but also bear in mind the call in the statement of G8 leaders adopted last June on the government and the opposition to join efforts and root out terrorism on Syrian soil,” he said. Moscow, Jan 31 : Russian adults who gulp down three bottles of vodka a week heighten their risk of death over the next 20 years, shows research. Vodka is a major cause of the high risk of premature death in Russian men, said a team of Russian and British scientists. In three Russian cities - Barnaul, Byisk and Tomsk - the researchers interviewed 200,000 adults for 10 years from 1999-2008 and followed them until 2010 for cause-specific mortality. They asked them about drinking habits and health, and then looked to see who died and when.